Wondering what to take camping in Iceland? You’re not alone. I’m from sunny Australia, and I know I’ve said it before, but we just don’t do cold. So when I decided to camp around the fjords in the arctic circle, I had absolutely no idea what to take camping in Iceland to keep myself warm and dry, and started researching like crazy to gather an assortment of stuff to keep myself alive and happy on the Ring Road. And it was well-worth the time – Iceland is a hectic place. Whether you’re going in a week or two-months, in summer or spring, it’s well-worth planning what to take camping in Iceland in advance to ensure you don’t freeze, starve, or get lost – I’m not a planner, but I planned the hell out of this trip, so hold tight! I’m here to share it with you! Before we kick-off, I should mention you can hire camping things from the Reykjavik Camping Equipment Store, which is great if you’re only going for a few days or if you can split the cost between a few people, but if you’re camping for more than eight-days, you’ll save money buying the items outright. I went for a month, so I opted to buy everything and re-sell it all at the end of my trip, and used the Reykjavik Camping Equipment store as a guide for the best brands. Side note: All prices listed are AUD (convert here), and there are a few Amazon affiliate links, which just means I’ll get a (small) commission if you buy things by clicking on the links under the images on this page. It doesn’t cost you anything extra, and you can read my disclaimer for more info. A compact and robust tent is a must. Iceland is a windy place, and you don’t want your $20 Walmart tent taking flight in the middle of the night, or for the poles to break – I’ve had my poles break in summer in Australia when there was no rain or wind and it was a terrible experience. In Iceland, I don’t even know what would happen, but it would make things pretty bleak. I used the Vango Banshee 200, and it was fantastic. Light-weight, easy to pitch (under 7-minutes, even in the wind), completely waterproof, and really sturdy with alloy poles – it hardly moved in the wind at all. It would have cost more than $200 to rent it, but I bought it for $80 and sold it at the end for $70. Whether you’re there in summer, spring or autumn, temperatures in Iceland really drop at night and the cold wind blows from, well, everywhere, so a four-seasons sleeping bag will be the most important thing in your backpack – more important than a good tent. I bought a synthetic Vango Ultralight 900 for around $120 (and sold it for $85), but I actually wish I’d invested in a better one. I get cold really easily, so I stayed in some hostels up north and ended up spending more money than if I’d just bought the better sleeping bag… Don’t make my mistake – just get a good one, and sell it when you’re done. When you're thinking about what to take camping in Iceland, you're ideally looking for a four-seasons Mummy sleeping bag (which just means it has a hood and drawstring for when your face gets cold at night – and it does), packs down in to a ball (30 x 20cm max), and is light-weight (under 5kg) so you’re not carting around a giant brick of material. The sleeping bag market is ludicrous, so the warmer, smaller, and more compact the sleeping bag, the more it will cost – for a great one, you’re looking at more than $300 USD, so if you’re not going for very long, you may want to consider renting. Having said that, you can probably find a good one on eBay, Craigslist, or Gumtree. Click here for the ones I recommend. I didn’t take a liner with me, and I regret it. Depending on which one you get, these things can raise the temperature in your sleeping bag by around 5-degrees, which makes a massive difference – they’re kind of amazing. As with sleeping bags, liners can be pricey. Silk ones are the best, but they cost around $100+, so there’s nothing wrong with getting a cotton one – you just need that extra layer. Click here for my recommendations. The ground is really cold, so sleeping on solid ground (even through a tent) will drop your body temperature significantly. A mat not only adds a layer of insulation, it adds a layer of comfort – like the grass and dirt everywhere else in the world, the ground in Iceland is lumpy with grassy patches, sticks, and stones. I got a pilates mat from Outdoor World for £10 in London, and while it could have been a little thicker, it did the job and I sold it as a package with my tent. Having said that, I do think it’s worth investing in a proper mat if you’re camping for a long time, or if you think you might camp again. Good ones are light-weight (under 1kg), roll-up nice and small, and some are self-inflatable. Eating out in Iceland can be extremely expensive ($20 for a sandwich, anyone?) and not all campsites have cooking facilities, so if you find yourself at one of those, you want to be prepared. I bought a Coleman Outlander gas cooker on Gumtree for $25, and it was fantastic. They’re really light and compact, take generic gas bottles that are available at most (possibly all) gas stations in Iceland (or free at some hostels! HINT: Look in the communal section of the kitchen), the wind didn’t blow the flame out, you can adjust the heat setting, and cook things relatively fast. Iceland can be windy and wet, so you might need something a little stronger than a cigarette lighter or matches to light your gas burner. I used the SOL Fire Start Kit on a particularly cold and windy day, and I was really impressed! The lighter is really powerful and will spark in any altitude – even if it gets wet, it’ll still light and stay lit for a few minutes. It also costs less than $15, and comes in a fire-resistant bag with a bunch of fire-starters. I packed it in my check-in luggage and didn’t have a problem. As soon as I got to Reykjavik, I went and bought a pre-paid sim card with data for $2,900 ISK (around $35), and it was one of the best purchases I made. Everywhere I went had coverage (including the Westfjords), and I used Google Maps every day for a month and didn’t run out of data. Most rental companies have GPS devices, but with a pre-paid sim card, you don’t need one. And I say that as someone who is absolutely terrible with directions. Click here for more information about sim cards in Iceland. You can save a lot of money with a camping card if you’re there in summer when all the campsites are open, but even if you’re there in spring or autumn, many campsite owners will let you stay there for a discounted price if you ask them ahead of time (check out my Iceland travel guide for more info). So how do you know where all the campsites are? With the free Iceland campsites map! You can pick these up at hostels, tourist offices, and N1 petrol stations, and plan your route that way. I used mine daily. Trust me on this one – if you’re camping, you should really bring a watch. You know how sometimes you go to sleep, but you don’t know you’ve gone to sleep until you look at the time and it’s been five-hours? Well, when you go to bed at 10pm in a tent in a place where the sun sets at 11pm and rises again at 3am and the birds are chirping all the time and your phone is too cold to switch on, you have no way of knowing what time it is. That happened to me, and I didn’t know if I should be getting up because it was 8am, or trying to get back to sleep because it was 4am. Bring a wrist watch. You may not need one of these if you’re travelling in the middle of summer (the sun is around 99-percent of the time), but otherwise I highly recommend bringing a flashlight. I know smartphones have flashlight, but the cold drained my phone battery like I’ve never seen before, and throughout the entire time I was camping, my phone wouldn’t stay on at night, so my $10 ALDI flashlight was really useful. Most new cars these days have USB ports, but if yours doesn’t, you still need a way of charging your phone. I have an FM radio transmitter with a USB port that plugs in to the car cigarette lighter port, and it was really useful for charging my phone, iPod, and blasting the car with my own music. Not all campsites in Iceland have kitchens, and if they do, if you’re there in summer when it’s really crowded, you may find all the pots, pans, and utensils are being used. As soon as I picked up my car, I went to Rúmfata Lagerinn (a huge, cheap-ish department store with everything) and bought a pack of three saucepans, a cutlery set, and a can opener – best decision ever. 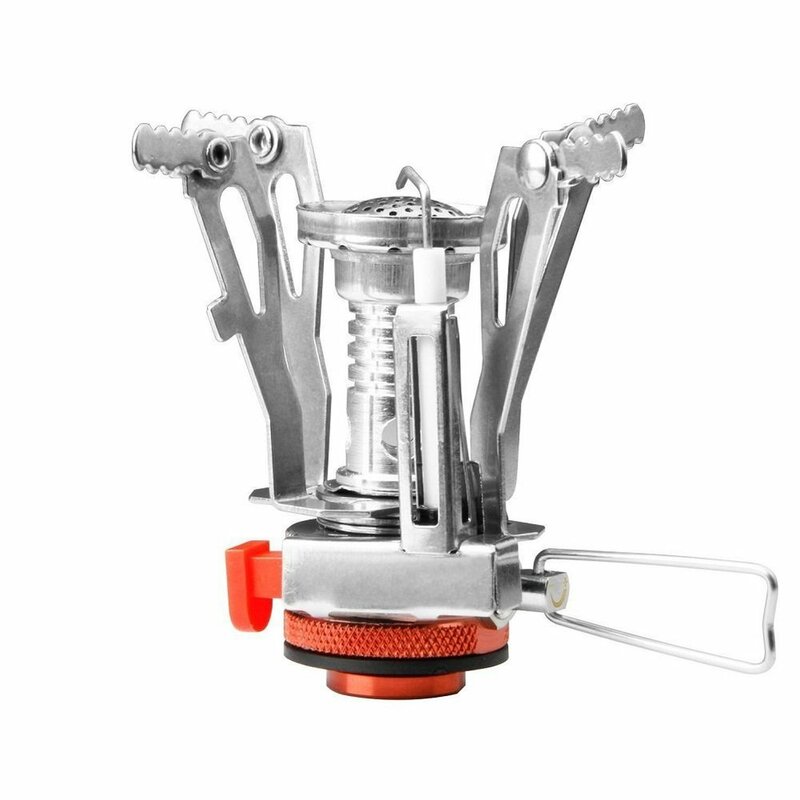 Even when the campsites did have cooking implements, I used the can opener and the cutlery set by the side of the road or in the car when I got hungry in the middle of nowhere while driving around during the day. I left everything except the can opener at the hostel when I was done with them for someone else to use, but you can get some really light-weight plates and things before you go if you're looking for something a bit more travel-friendly. Sharp knife: Not strictly necessary, but Chris got me this Lansky knife before I left and it's great. I used it to chop dinner one night and it worked perfectly (I can't imagine what the broccoli would have looked like if I'd used my butter knife). It doesn't have a lock on it, but it's held in place by a strong spring which means it doesn't have flick-knife capabilities and is internationally recognised as a tool, rather than a weapon. Compass: If your phone dies in the middle of the fjords, it might be handy to have a compass. Chris bought me a Suunto compass that I didn't end up using, but it's very reliable and works in all hemispheres. Camping pillow: I didn't bring one of these (I slept on a sweater), but a pillow definitely would have made things a little more comfortable! So that's my list on what to take camping in Iceland! Feel free to let me know in the comments or on Instagram if you found any of these tips useful, and check out my Iceland Travel Guide, and my guide on What To Wear In Iceland.